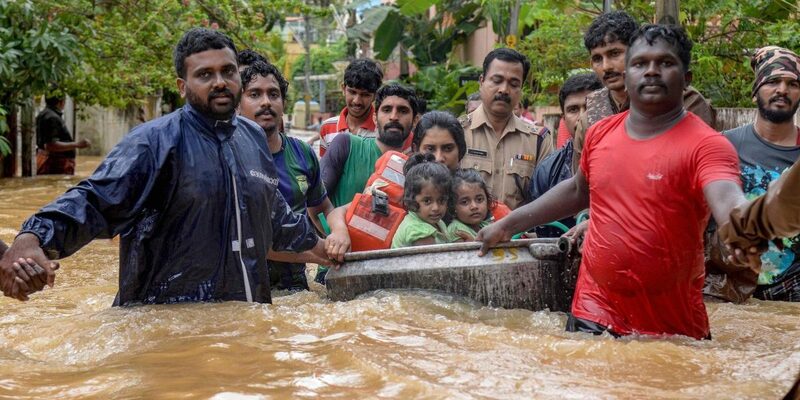 Malicious fake news and hoaxes about the Kerala floods are circulating on social media, causing irreparable damage to the relief and rehabilitation operations and discouraging people from contributing. 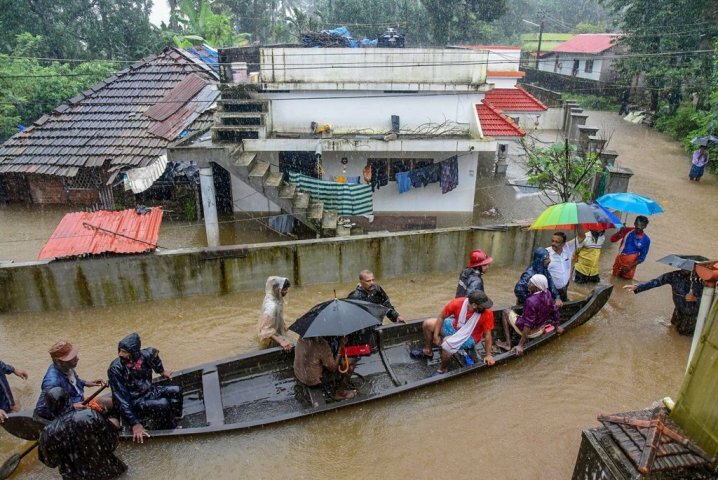 With malicious intentions, fake news and hoaxes about the Kerala floods are doing the rounds on social media, causing irreparable damage to the relief and rehabilitation operations. People behind these messages and those circulating it are either knowingly or unknowingly discouraging people from other states to lend a helping hand. As a result, many people who were previously willing to help have expressed reservations in contributing to the relief efforts. By addressing these false claims, this article intends to clarify doubts that might have been cast in the minds of fellow citizens across the country. There is no statistic to back this claim. On August 20, a government press briefing said that more than a million people had reached over 5,000 camps during the past few days. In areas like Kuttanad, more than 97% of the population has been relocated. Red alerts were declared in 12 of 14 districts in the state at various points of time, often simultaneously. Rising flood waters do not discriminate between poor and rich. While the rich might have found shelter at homes of relatives in safer locations, it is mostly the poor that have been sheltered by relief camps set up by the government. The Central government’s Socio Economic and Caste Census data of 2011 can put into perspective the economic situation of households in Kerala. For almost 71% of rural households in the state, the main breadwinner of the family earned less than Rs 5,000 per month. Across districts, the percentage was highest in Wayanad (79.67%), followed by Malappuram (75.55%) and Palakkad (74.38%), which were all badly hit by the floods. In 66% of the households in Chengannur, the highest earning member of the household earns Rs 5,000 or less per month. In Ranni, the figure is 67.12%. In Meenachil Taluq (Pala), it is 64.82% and in Alleppey district (under which Kuttanad falls), it is 69.41%. A cursory glance at these figures tell us that majority of the population is not “rich”. They require any and all help that they can get. Initial official estimates peg the loss due to floods at Rs 20,000 crores. The money contributed to the Chief Minister’s Disaster Relief Fund (CMDRF) will be used not just for buying provisions for victims in relief camps, but also to restore the state’s infrastructure. The agriculture, industrial and infrastructure sectors have been severely impacted due to the flood. Contributions to CMDRF will be used for reviving and rebuilding these sectors once the flood waters recede. Realising the gravity of the situation, the government of India has increased the central assistance from the initial Rs 100 crore to Rs 600 crore. Most state governments have also been contributing to CMDRF, which itself is a pointer to the magnitude of devastation. Kerala is desperately in need of assistance. Due to the extraordinary efforts of voluntary organisations, relief items are steadily coming in from across the country. They are stored at collection centers across district headquarters and diverted to relief camps and homes of people who are stranded. Such collection centers are being administered by government machinery under the supervision of district collectors. There is a steady flow of goods and hence at any time, the collection centers are readily stocked. This cannot be misconstrued as “stuff lying unclaimed”. People in relief camps need all kinds of essential materials like food, drinking water, sanitation facilities, medicines, blankets, dress material, undergarments, sanitary napkins, baby food, baby clothes etc. The rains forced most people to flee without any bare essentials. The relief camps send updates to collection centers regarding items in short supply. It is important to ensure that essential items are replenished from time to time, thereby alleviating the misery of those in camps. Despite the best efforts of volunteers and organisations, many relief camps are facing shortage of food, drinking water, sanitation facilities, medicines, blankets and dress material. These supplies need to be replenished. Malicious messages are being spread that the government of Kerala is not helping the people. While it is true that numerous voluntary organisations are doing commendable work in rehabilitating people affected by the floods, it is grossly incorrect to claim that the government is not playing an active role in these efforts. 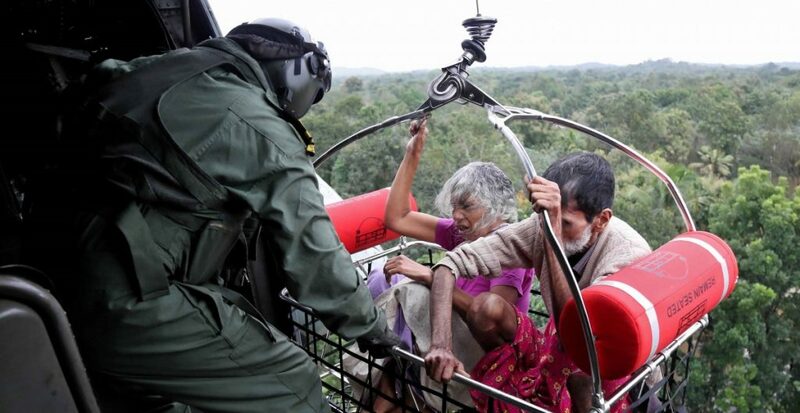 Relief operations are being spearheaded by the government with assistance from the Centre, armed forces and NDRF. One of the most heart-warming stories of rescue operations was the role played by fishermen community from all over Kerala, with no allegiance to any formal organisations. The fishermen carried their boats on land to affected regions and engaged in rescue operations even before rescue forces could be deployed. Army trucks and helicopters are being used to carry relief materials to collection points. Moreover, although a few roads were blocked owing to the devastation caused by floods, transportation via road and railways has been largely restored. The relief material is being duly transported to the affected areas and the district administrations have been actively involved in ensuring that the relief supplies reach their destination. CMDRF is operated by the finance secretary of Kerala, while being administered by the state revenue department. The finance secretary is authorised to operate CMDRF funds only in compliance with a government order issued by the revenue secretary. The operation is completely transparent and details can be found online. The CMDRF also falls under the ambit of the Right to Information Act and people are entitled to information about how the fund has been used. This is as transparent as it gets. The very fact that various state governments across the country – cutting across party lines – have publicly appealed that citizens contribute to CMDRF is an indicator of the fund’s authenticity. It cannot be operated according to the whims and fancies of any government official, including the chief minister. While there might be a few unscrupulous elements looking to make a quick buck during such calamities, this does not apply to a vast majority of organisations. As such, it is advisable to determine the credentials of an organisation before donating. One foolproof way to make sure monetary contributions reach the victims is by donating directly to CMDRF (Account No: 67319948232, Account Name: Chief Minister’s Distress Relief Fund, IFSC: SBIN0070028). As stated above, this is a publicly audited, transparent fund. If a person wishes to contribute supplies, doing a thorough background check will go a long way in making sure they reach the people. Facebook pages run by various district collectors are a good source for verified information. Even if some materials fall into the hands of unscrupulous people, the vast majority will provide relief affected to victims. Instead of holding back contributions, a little research could help identify verified organisations that are aiding the relief and rescue operations. No contribution is too big or too small in the endeavour to rebuild Kerala. While the calamity has affected the state for the past one month, it has come to the notice of the country only over the past few days. The consequent response has been immense. The next week is a crucial period when maximum help will arrive. Fake news and social media messages that are deliberately trying to undermine relief efforts need to be debunked. We sincerely appeal to fellow citizens not to pay attention to voices trying to trivialise the extent of destruction that Kerala and its people have found themselves in. Minesh Mathew is a volunteer contributing to the relief efforts in Kerala. The article was written by Mathew along with volunteers Seriene Mohammad, Jerrymel George Jacob, Kavita Ramachandran, Ullas T.S. and Aquib Jamal, Sruthi, Noble, Abidha, Vishnu, Mathukkutty, Amal, Vyshak, Varun, Nibu, Harish, Anjana, Vishnu, Gokul and Richard.